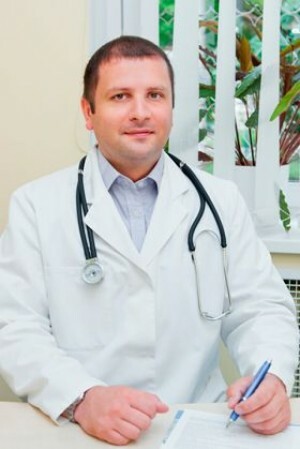 Burko Vladimir Yaroslavovich- doctor cardiologist in the clinic (cardiology center) Dobrobut in Kiev. .
Vladimir Yaroslavovich is a well-known doctor in Ukraine, a practicing specialist in the field of cardiology, a first-degree specialist. Medical experience - 10 years. Due to its extensive experience, it carries out highly qualified diagnostics and applies the most advanced methods of treatment of patients. The main specialization of Vladimir Yaroslavovich is a narrow profile, namely the identification of the relationship between the disease and the cardiovascular system itself. He carries out treatment of various functional disorders of the gastrointestinal tract, diseases affecting the biliary tract and liver, disorders of the intestinal microflora. The doctor accepts both adults and children, and also provides medical services at home and in outpatient settings. Disturbances of rhythm, cardialgia and neurocirculatory dystonia, chronic heart failure. treatment of acute and chronic respiratory diseases.